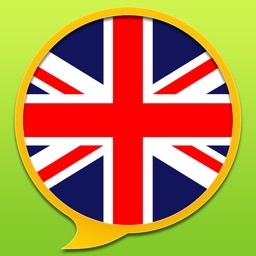 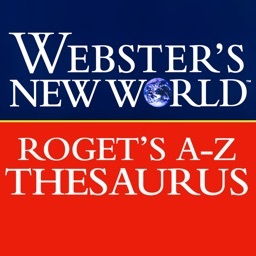 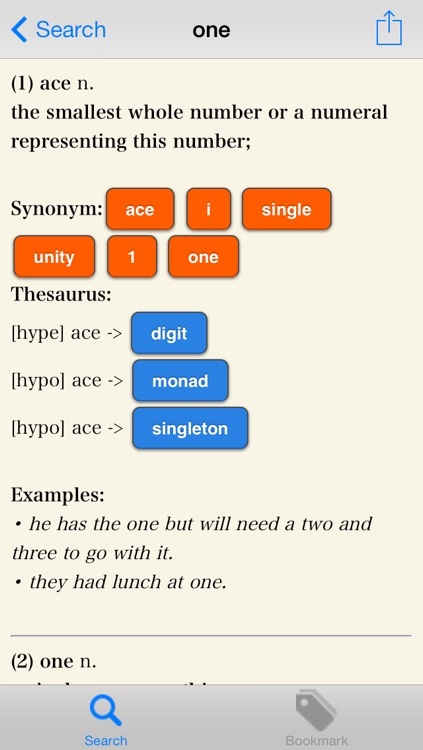 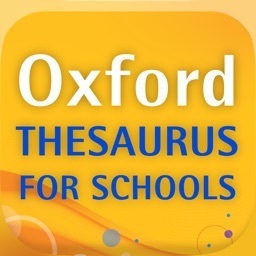 This application is an interactive offline English Thesaurus Dictionary app . 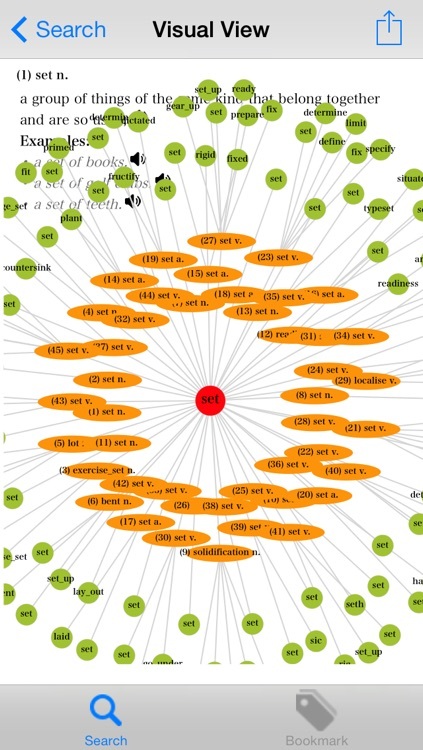 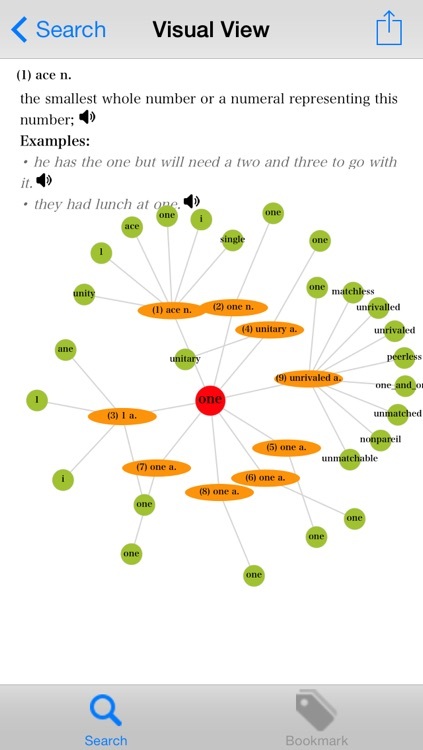 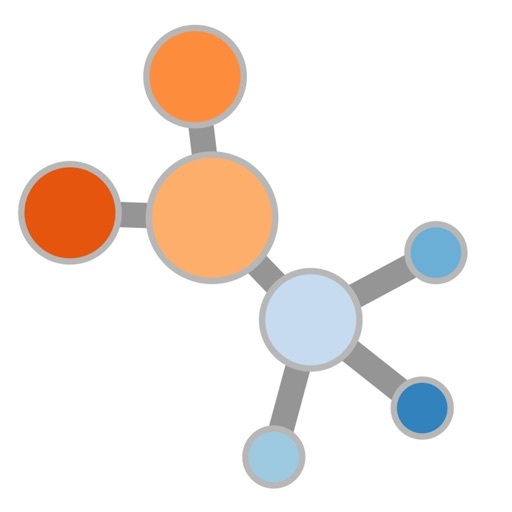 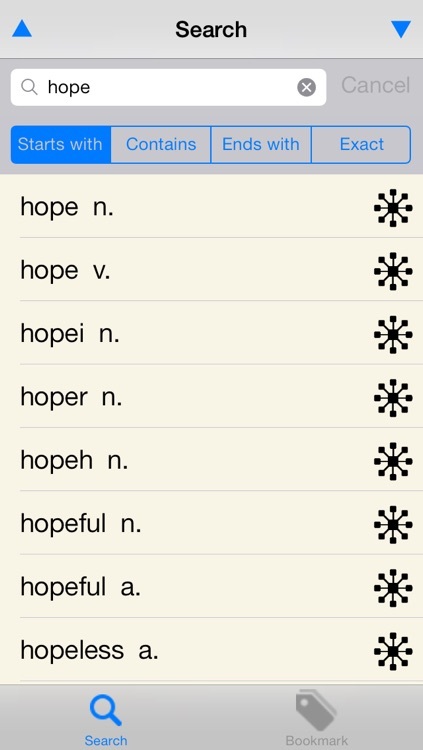 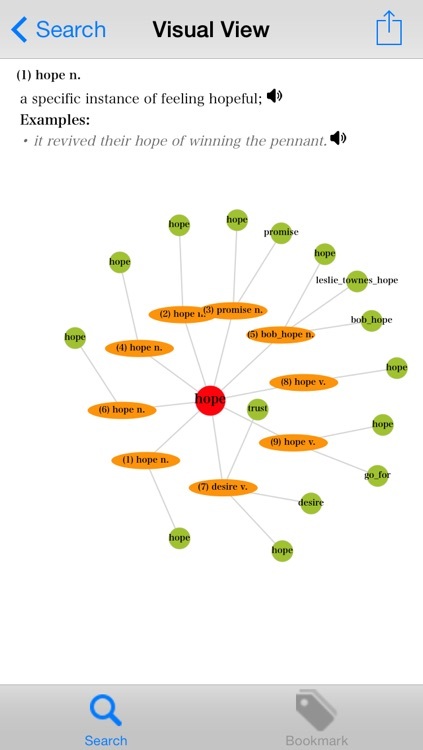 • Visual view show meaning and connections among associated words.Click the green circle , it will jump to the view of the word; Click the orange ellipse ,it will show the definition and examples above. 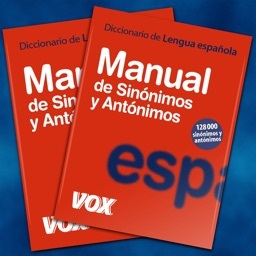 • Pronounciation for word and examples.